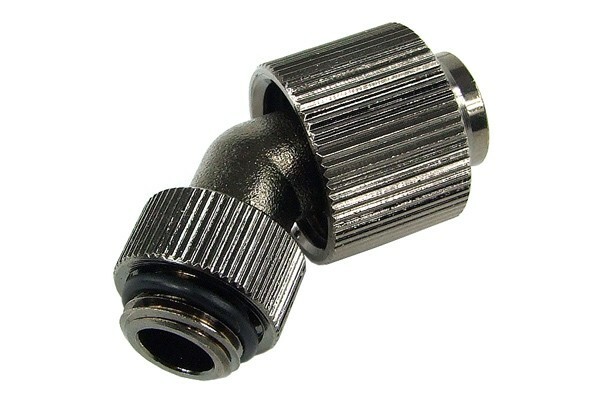 High-grade and robust compression fitting with cylindrical thread (G1/4"). the hose is fixated safely by the union nut and seals immediately, yet it can easily be released with one hand. This fittings is freely revolvable (360°) and is angled by 45°.